In the name of the moon! 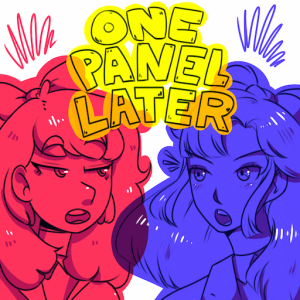 Angela and Kelly chat about the legacy of Sailor Moon in Western fandom, share some of our favorite magical girl anime and manga, and try to break down what makes a magical girl. Are magical girls superheroes? Is Squirrel Girl a magical girl? Plus, a quick look at the latest Comicsgate nonsense for those wondering what was happening on Twitter last week. Angela and Kelly break down the 2018 Eisner nominations–or, more accurately, spend 45 minutes complaining that their favorite things didn’t get nominated. We’re whining about middle grade snubs, looking for YA books in the YA category, and getting huffy about adaptations of Jane Eyre. Plus, Kelly goes on yet another indignant rant about manga getting treated like a leper at the Eisners.